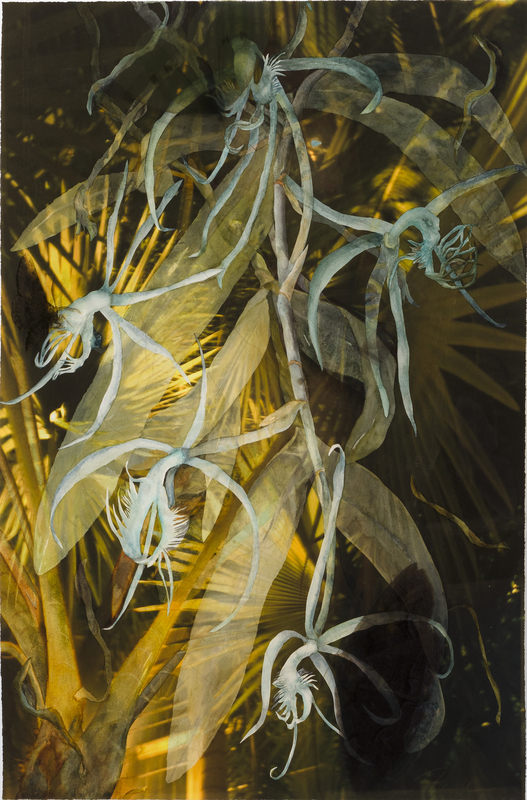 Flight Lines, 2012, Watercolor & Archival Digital Print on Paper and framing Plexiglas, 46” x 35.5” This orchid dispenses a scent at night, which attracts a specific species of moths that will fertilize the blooms. The painted orchids were surrounded with a night photo of its natural environment. Moths and their fight line have been printed onto the framing Plexiglas.